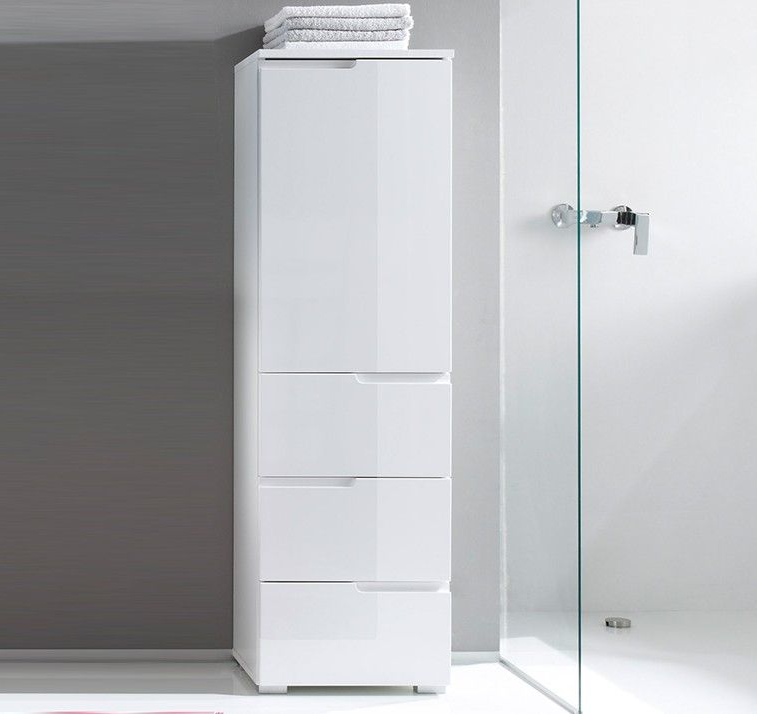 What better way than Cellini White Gloss Tall Bathroom Cupboard Storage Unit to corral all your bathroom essentials right within your restroom ensemble with this modern and elegant white glass cupboard. With a touch of traditional silhouette, this bathroom cupboard is crafted of white high glass fronts, and matt finished sides and top. 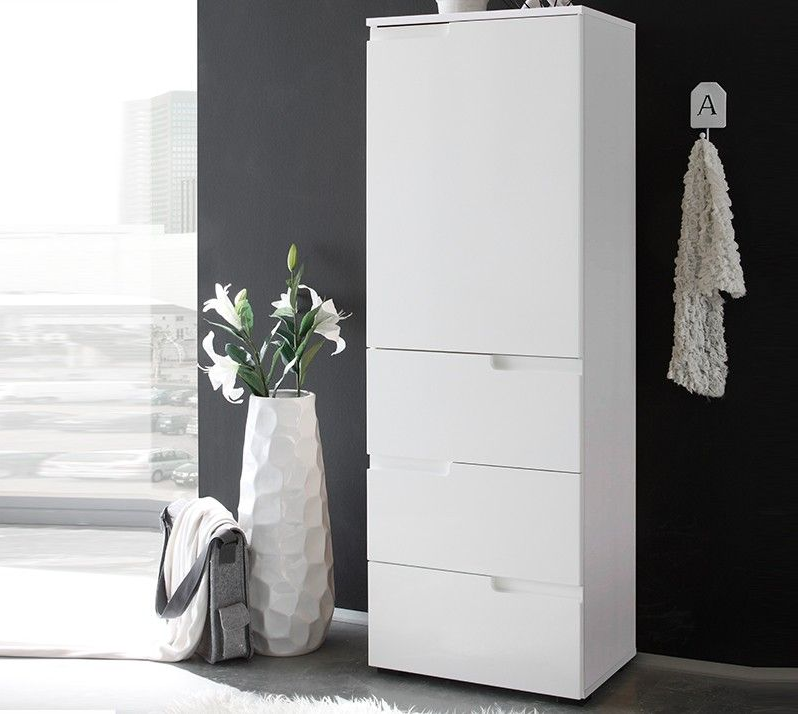 From the Cellini range, this stunning storage unit comes with three drawers, and one door, all in a white finish. 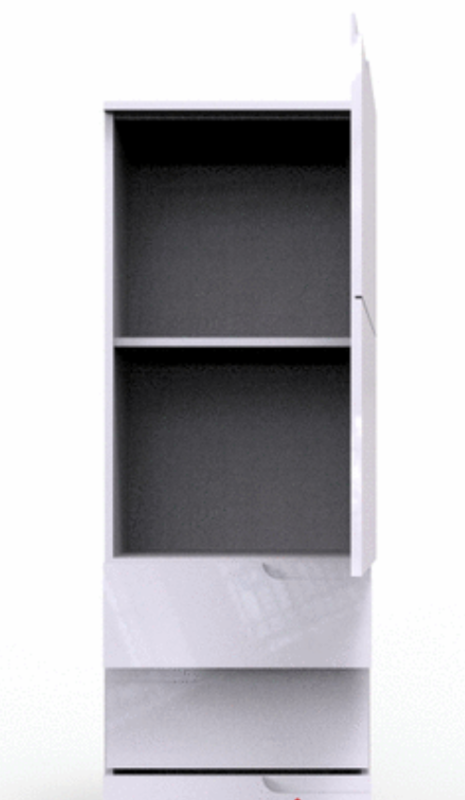 This tallboy storage unit is an ideal stylish storage solution for any room, lounge bedroom, or bathroom. This universal product is supplied flat packed and offers easy assembly at home.